La Maison Jolie: Free Christmas Printables for Last Minute Decorating! 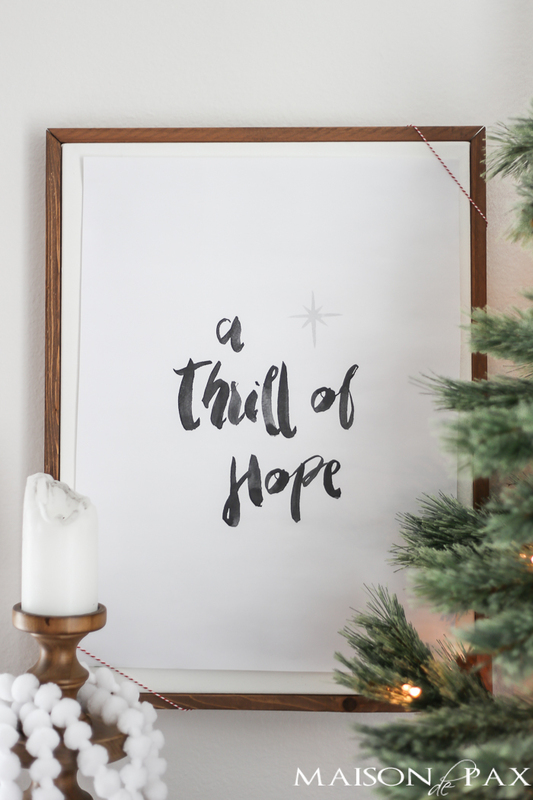 Free Christmas Printables for Last Minute Decorating! Leading up to the last few days to Christmas, we've rounded up a few decorating and gift wrapping prints that you can download for free to add some last minute festive touches to your gifts, table and home. Have a look at these gorgeous printables and have fun decorating with them! 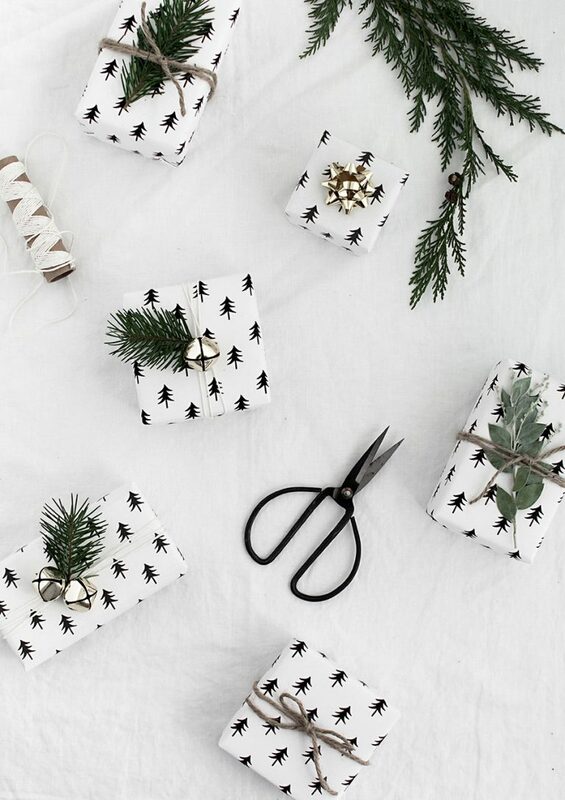 First up is some uber pretty wrapping paper from one of my favourite blogs Homeyohmy. Download the printable from here and check out the linked post for some gorgeous Christmas wrapping inspiration. This cute printable also looks great framed and up on the wall! Next up is some gorgeous copper edged decorative cards from Bldg 25 to decorate your Christmas table with. Download the files from here, here, here and here. 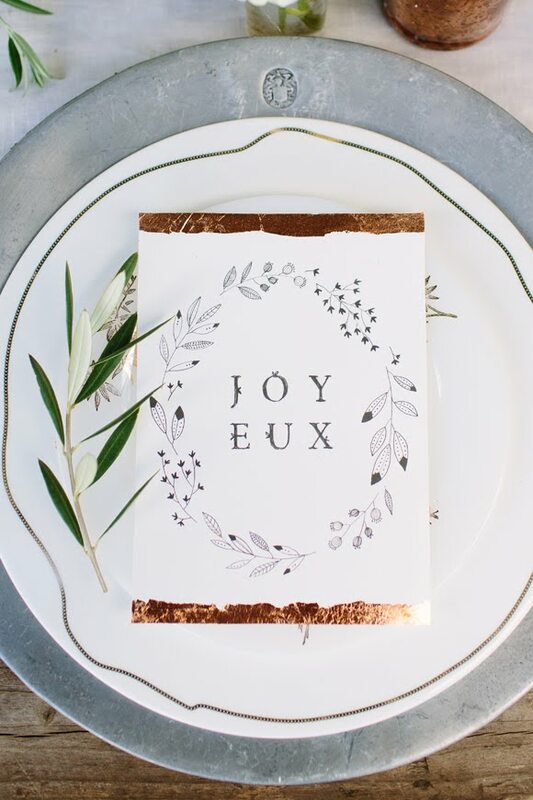 These are so pretty to use as table decorations, placemats or as menu cards! 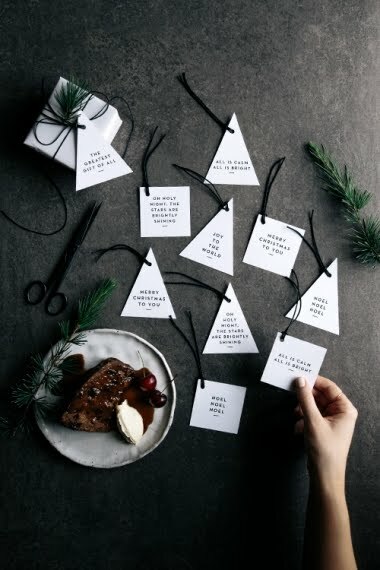 Dress up your gifts this year with these timeless monochrome gift tag printables from Gather and Feast. Download them from here, here, here and here. 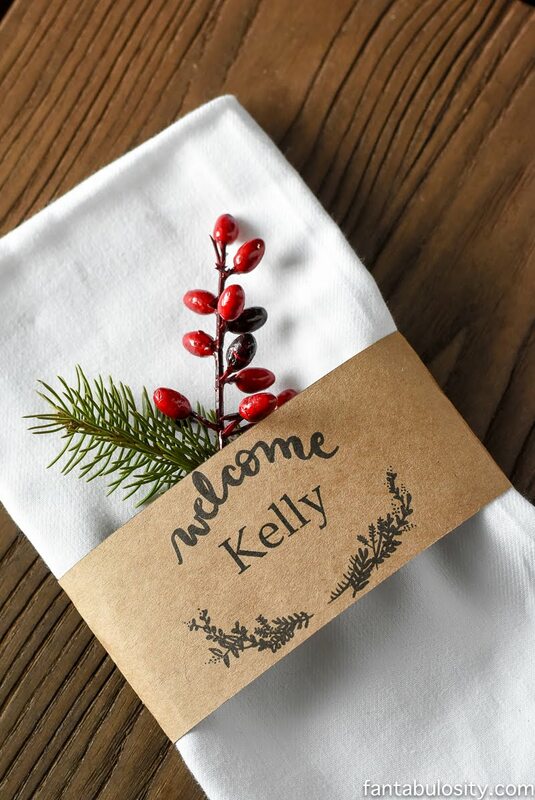 These pretty place settings by Fantabulosity will definitely impress your guests. Download from here and check out the linked post to see how you can secure the name cards to your napkins. For a joyful touch to the table, print them on coloured paper and secure with contrasting ribbons. Last but not the least, a beautiful and meaningful art print from Maison de Pax. Download the linked file from here and check out the original post for some beautiful decorating inspiration. If you do choose to use any of the above mentioned prints, do post a photo on Instagram and tag us by using #lamaisonjolie, #raniengineer and the original author. You can follow us on Instagram here. Till next time...have a Merry Christmas!